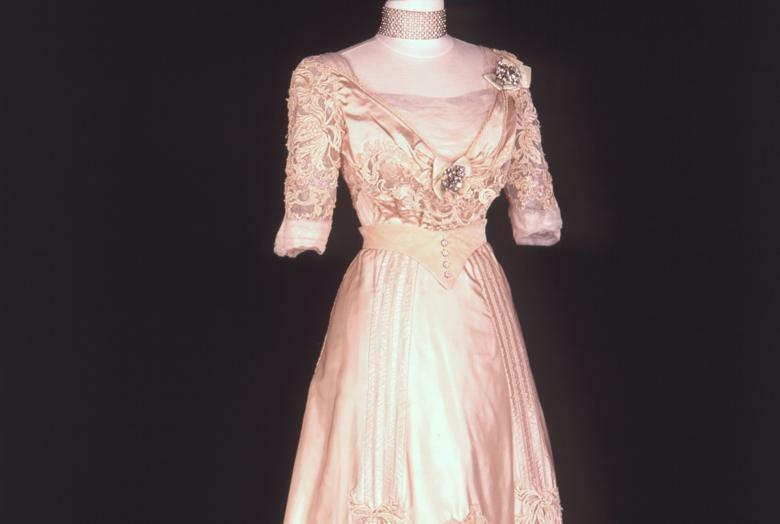 The exhibition features thirty-six period costumes worn by movie stars such as Elizabeth Taylor, Meryl Streep, Nicole Kidman, and Gwyneth Paltrow in major motion pictures, from critically acclaimed films Dangerous Liaisons and Sense and Sensibility to blockbusters Indiana Jones and Titanic. The Paine’s presentation of the exhibition uniquely sets the elaborate costumes within the grandest rooms of the historic mansion. Fashion in Film highlights selections from the collection of period attire from Cosprop, Ltd., the world-renowned costume house in London, England. The costumes have been worn by well-known actors in some of the most popular and successful period television and film productions of the last few decades, including several pictures that received Oscar and Emmy nominations and awards for costume design. 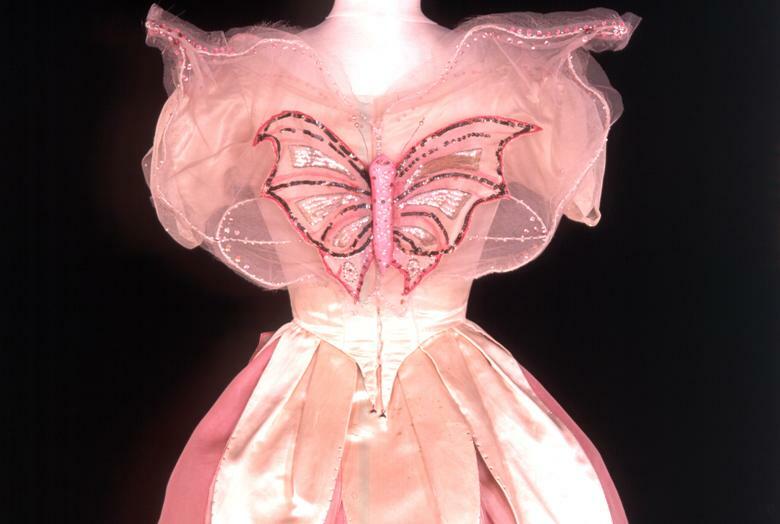 The featured costumes range from a Renaissance-era green velvet dress worn by Cate Blanchett in Elizabeth to a 1950s pink silk dress worn by Madonna in Evita. Other selections include a winged party dress worn by Drew Barrymore in Ever After, a wool coat and top hat worn by Ralph Fiennes in Onegin, and a fur shawl and feathered hat worn by Jacqueline Bisset in Murder on the Orient Express. Many items are accompanied by film stills showing the actors wearing them. The exquisite selection comes from a stock of nearly 100,000 costumes and accessories made by Cosprop, which specializes in creating costumes for film, television, and theater. 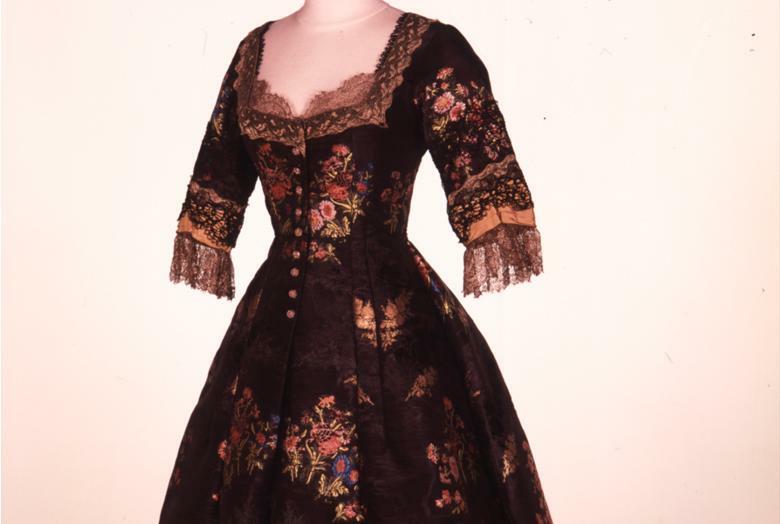 The exhibited costumes demonstrate the development of fashion from the sixteenth to the mid-twentieth centuries. Having mostly been made for film adaptations of classical novels, the costumes in Fashion in Film closely follow original models in the cut and materials used. The authenticity of the costumes reflects the height of period films during recent years. Within the world of filmmaking, costume design now plays an integral role in creating a believable and accurate story. Period correctness of fabrics, cuts, and patterns significantly add to the overall mood and atmosphere of the filmsetting. Within the period-style interiors of the Paine mansion in Oshkosh, the costumes have special context and meaning. Many of the costumes were created for films set in England, like Pride and Prejudice and Emma, and fit perfectly within the period décor of the English-style Paine mansion. Costumes from the following films are included in Fashion in Film: Period Costumes for the Screen: Dangerous Liaisons; Elizabeth (1998); Emma (1996); Ever After; Evita (1997); Far and Away; Gosford Park; Hamlet; Howard’s End; Indiana Jones; Jefferson in Paris; Murder on the Orient Express; Onegin; Out of Africa; Portrait of a Lady; Pride and Prejudice (1996); Room with a View (1986); Scarlett (1995); Sense and Sensibility (1995); Shining Through; The Europeans; The Golden Bowl; The Shooting Party; Titanic; and Toscanini. Fashion in Film: Period Costumes for the Screen is organized by the Trust for Museum Exhibitions, Washington, D.C. in cooperation with Cosprop, Ltd., London, England. Fashion in Film: Period Costumes for the Screen is generously supported by Time Warner Cable and WVBO radio station.